The Greatest Germany Home Kit 1965-2015 - Your vote counts! First, it was England. Then came France. Now, The Football Attic is proud to be begin a new quest - to establish The Greatest Germany Home Kit of the last fifty years. The white and black of the German team (and that of the West German team before it) are as iconic as the yellow of Brazil or the orange of the Netherlands. Worn by heroes such as Gerd Müller, Franz Beckenbauer, Lothar Matthäus and Jurgen Klinsmann, the home kit of the German team is as identifiable as any, and is inextricably associated with great success across several decades. More than 600 matches have been researched and 22 kits have been illustrated so you can assess the good and the not-so-good from the last half a century. Your main duty is to simply enjoy the designs for what they are, but also we'll shortly be inviting you to vote for the one you think is the best of all - just to get an idea of which kits are the most popular. Before we go any further, here's our graphic showing all of the (West) Germany home kits since 1965. Kit A was worn in West Germany's first match of 1965, a 1-1 draw against Italy in Hamburg, but was also worn throughout almost their entire 1966 World Cup campaign. It was only in the Final against England that West Germany switched to Kit B (different only in the round neckline of the shirt), although this version was well established and had already been worn regularly since April 1965. Where our fifty-year period of focus is concerned, these two kits were worn in more matches than any other; Kit A for 33 and Kit B for 79, but whereas the former was retired in 1974, the latter went on to be worn right up to the eve of the 1978 World Cup. It was in West Germany's first match of the '78 tournament that Kit C made ​​its debut, made ​​by German manufacturer Erima, and it was their logo that had appeared on the shirt of Kit B During 1977. However, after 12 years of wearing two kits that were very much a product of the 1960s, West Germany finally had a new outfit that was modern for its time. With a black edged 'flappy' neckline and black piping across the shoulders of the shirt, Helmut Schön's team looked stylish and in no way old-fashioned in their appearance. Kit C was worn for two years, even making an appearance in West Germany's group games of the 1980 European Championships, but for the Final against Belgium, they changed again. 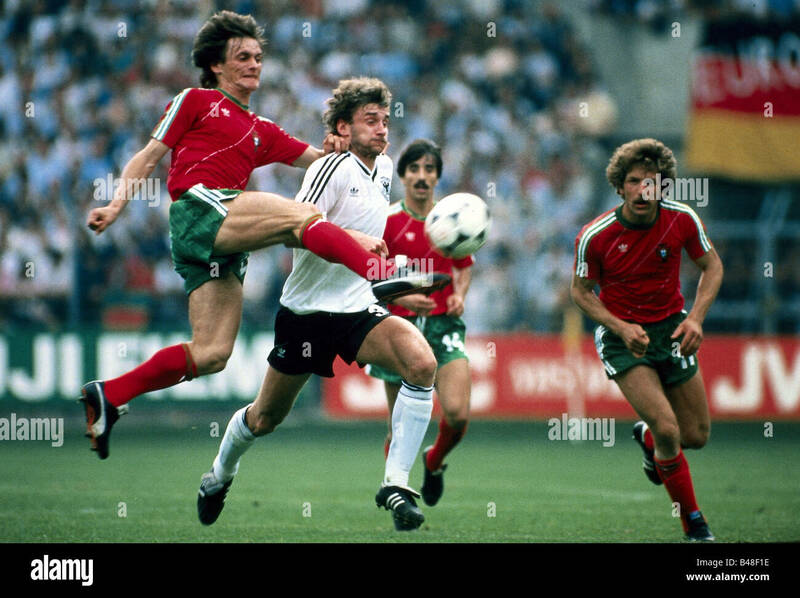 Karl-Heinz Rummenigge, Uli Stielike and the rest of the German team faced their counterparts wearing Kit D - the first of 19 consecutive Adidas kits that are still worn to this day. The cut of the shirt was much the same, but now there were Adidas stripes on the sleeves as well as the socks, while the neckline was now a solid black. For further contrast, the piping across the shoulders was flipped horizontally too. Kit D was worn regularly over a four-year period, but it had to share the spotlight With Kit E during that time - especially during the 1982 World Cup when the latter edition was seen throughout. Sporting a black v-neck and no piping on the shirt, this was seen as a refinement of its predecessor but one that was only worn for a dozen matches up to 1983. Once again, a World Cup Finals tournament ushered in a new West Germany kit, and in 1986 it was the turn of Kit H to make its first appearance. Kit H was the first to use all three colours of the national flag on the shirt, albeit in a minimal fashion on the shallow wrap-over neckline and cuffs. The entire outfit was worn eleven times in all up to the end of 1987, along with Kit I on four occasions - essentially identical to Kit H, but with a round-neck version of the shirt. At the start of 1988, the West German national team changed to possibly their best known kit of all - Kit J - which made ​​far greater use of the black/red/yellow by incorporating an abstract ribbon motif to the shirt. 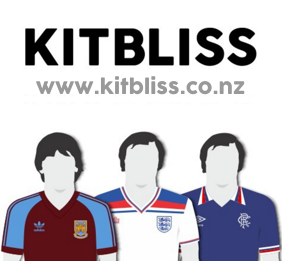 Made famous by the victorious World Cup campaign of 1990, Kit J has been worn more often than any other kit since the 1970's, and with some justification. When Euro 92 rolled around, however, it was time for another change and on this occasion, Adidas restyled the shirt to give an approving nod to the previous one. For Kit K, the flag colours were moved to the sleeves, a new black v-neck was added and the ever-present Adidas logo switched to its 'Equipment' variant - even on the socks. In 1994, Germany wore their most colourful shirt to date - and the one that polarises opinions the most. 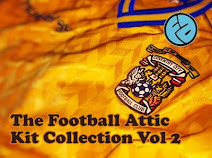 As part of Kit L, it featured a series of diamond-like geometric shapes in black, red and yellow across the shoulders and upper chest, with a repeat of the pattern occurring on one leg of the shorts. In addition, the three Adidas stripes were also now in the colours of the German flag. If Kit L looked flamboyant, Kit M went to the opposite extreme. During 1996 and 1997, the Germany shirt had a plain, dignified look - removing the colourful detail of its predecessor to leave a largely white shirt, black shorts and a longer discrete black neckline and cuffs. To add to the vintage-era feel of the kit, the DFB badge appeared on the shirt in white inside a black shield. Bold, but nicely executed. At the start of 1998, Kit N was launched and immediately brought back a more modern stylistic approach. Once again, the black/red/yellow was in evidence as the colour for the three stripes horizontally crossing the chest and neatly running behind the DFB badge. Continuing the complex theme of the shirt, there were also black panels down the sides and a black v-neck with white insert, while the shorts also had panels to contrast the white Adidas stripes in black. Only the socks appear to have escaped the attentions of the designers. Kit O arrived at the start of 2000 and was remarkable for having more black on the shirt than at any time in the past. Truth be known, the black that appeared on the shoulders was more like a dark charcoal colour, but even so, the effect remained stark and uncompromising. Two years later, the see-saw swung back again in favour of minimalism as Kit P made ​​use of a popular Adidas shirt template of the era. With the simple black v-neck neckline and black cuffs, this was the more refined look that the German team adopted for the 2002 World Cup Finals. Kit Q appeared to be an interesting combination of Kit O and Kit J as a return to black shoulders (along with red and yellow flashes) heralded the run-in to Germany's Euro 2004 campaign. As if to leave no-one in any doubt as to the nationality of the players wearing the kit, there were miniature German flags on the shirt sleeves and the front of the socks. At the end of 2005, however, it was 'new kit' time again as Adidas launched Kit R, an outfit that ultimately would be seen in the World Cup Finals played on German soil the following year. Maintaining the use of the three flag colours, the shirt had long curves across the shoulders, down the sides of the shirt, and even onto the top of the shorts. A new direction was taken when Germany faced Cyprus in Hannover towards the end of 2007 as Kit S appeared for the first time. It's main feature was a broad black band running from left to right across the upper part of the shirt, ending in a curve that provided a border for the round DFB badge. The black band also contained red and yellow bars to create a stylized version of the Bundesflagge, whereas the socks had a broad black band on the turnovers as a background to the three white Adidas stripes. Almost exactly two years later, Kit T was introduced and had a striking resemblance to Kit M thirteen years before it. Yet again there was a single black neckline and once again there was a black shield container to house the now gold DFB badge. This time, however, three thin vertical lines in the colours of the German flag ran behind the badge as a subtle counterpoint to the traditional white and the black Adidas stripes. In November 2011, Adidas went retro again - this time feeding from the styles of the mid-1980's. Kit U had a shirt with diagonal pinstripes in black, red and yellow, echoing shirts like those worn by Portugal during Euro 84. The single wrap-over neckline was also a hark back to the same era as the overall kit adopted a 'less is more' motif in time for Euro 2012. Finally, in November 2013, Germany wore Kit V, the kit they'll be wearing until November 2015. This was a true original in many respects. The shirt featured a bold, detailed chevron that graduated from dark red to a lighter red with a similar colouring appearing on the shorts and sock turnovers. The shorts themselves were designed to be white rather than black wherever possible as part of a wider switch to single-colour strips by numerous national sides. With smart black detailing along the sleeves, neckline and shorts, Kit V was as imaginative and daring in its conception as anything we've seen since the mid-1960s... but is it your favourite Germany home kit of the last 50 years? Before you get the chance to register your vote in our online poll, I'd like to express my sincere thanks to Terry Duffelen, Rich Nelson and Rick Joshua for all their help in clarifying many important pieces of information during the research for this feature. Without their help, many of the details shown on the graphic above and in the accompanying text would be incorrect or incomplete. Thanks a lot, guys! And so we come to the fun part - the part where you can vote for your favourite Germany Home Kit of the last half-century. The process is very simple. All you need to do is look at the graphic shown near the top of this article, note the letter associated with your preferred kit, then select it on the form below and press the Vote button. On October 4th, one month from now, we'll count up all your votes and announce the winner of the Greatest Germany Home Kit 1965-2015. The voting period is now over and the winner of our Greatest Germany Home Kit poll has been announced. Did your favourite kit win? Obviously, it's kit J. But against any other competition, kit B would have walked it. Spoiler alert: Kit J wins! Please correct me if I'm wrong, but I believe that Umbro was the manufacturer of West Germany's kit from the 1966 World Cup (note how the design of their numbers was the same as England's) through Mexico '70 and up to and including the 1972 European Championship. I think Erima only took over for the 1974 World Cup, when the number design switched to the iconic 3D style. Note how these numbers remained in '78 (Erima) but weren't used on the adidas kit until '84, by which time the two companies had merged. Weren't all the kits at the 1966 World Cup made by umbro? Correct James, and Erima were actually the textiles company that were bought by Adidas to manufacture football kits. D is uncannily similar to the one I designed back in the mists of time before it ever saw a sewing machine. Am I due royalties from Deutscher Fußball-Bund ? Wow, what a great graphic! You could add the new 2014-jersey with 4 stars as well! Thanks for this, I will include it into my website! Nice page. Well done guys. 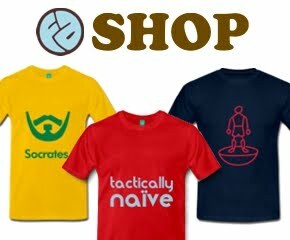 Now how about an update but this time comparing & voting for the best Germany away shirt. My vote for the best German away shirt in the past 50 years is the very very rare green flag shirt with long sleeves which was only worn once against England at Wembley on 11th Sept 1991. Legend has it which the general consensus accepts is that the shirt was only available to the German squad as the shirt was never commercially available in retail stores, as such pre worn examples sell in the thousands £.